As a rule I loathe the idea of variant covers. 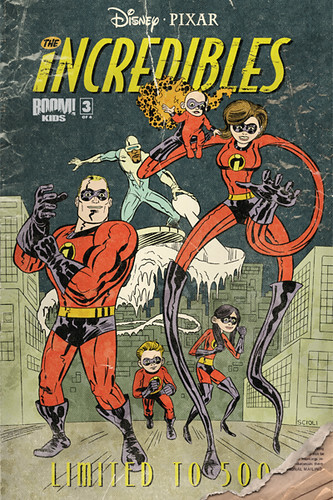 But I just couldn't resist sharing this killer INCREDIBLES #3 limited edition Boom Studios sent me. Dig them Kirby boots! I'll play the pimp and let you know this is available only at HeroesCon this weekend!